Continuous, interactive vintage circus entertainment like nothing you have ever seen before. 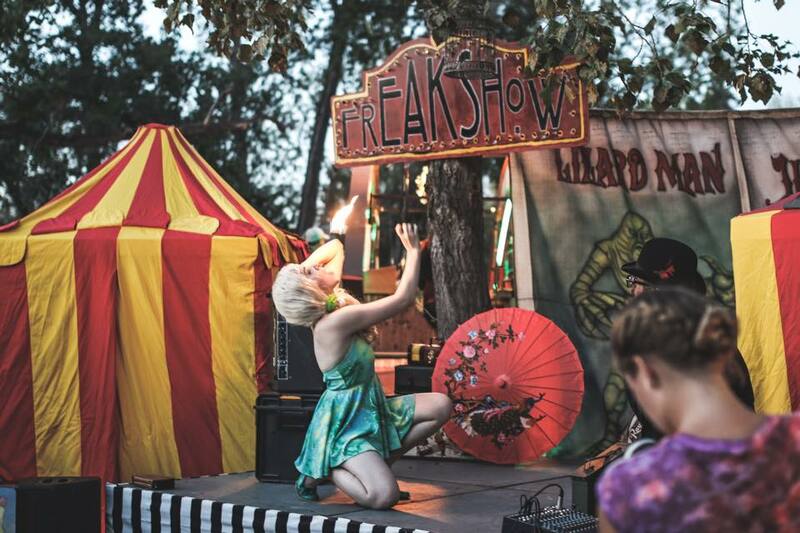 Step right up and see the Canada’s only running classic ten-in-one show, with everything from the circus tents, to the carnival barker to the fat bearded lady. This show is uniquely designed to engage crowds for short sets and encourages guests to move around your event. Perfect for buffet style dinners or events looking for ongoing casual yet thrilling entertainment. Our comical and clever script creates a seamless theatrical experience from act to act and throughout your event. The show is built on a and a half (1.5) hour loop, allowing guests who may have missed the act the first time the opportunity to catch it later. Awards and Accolades: Our “Ten-in-One” contributed to Ballyhoo Entertainment being awarded 2013’s Best Entertainment in Canada. This show includes a Guinness World Record Holder, 2 award winning actor and respected specialists in both circus sideshow and magic. We are currently the only traveling Ten-in-One show in Canada. This show took the combined efforts of eight (8) artists and writers as well as a circus historian to build and we are exceptionally proud of it. There are no photos with those IDs or post 25114 does not have any attached images! The Escape Artist, The Man Eating Chicken, The Headless Woman, The Unbelievable Tattooed Lady, Incredible Impenetrable Girl, The World’s Most Beautiful Bearded Lady, The World’s Strongest Man, Dr B.A. Shyster and his Medicine Show, The Levitating Guru and The Haunted Chamber. Descriptions & scripts of each of theses acts available upon request. Show requires access to power outlets. Although we can perform at ground level, this show is best enjoyed on a raised platform or stage. 25′ X 10′ minimum staging area. Show requires a ceiling clearance of minimum 7′ to allow for tents and acrobatic acts. We are always happy to include special notes or announcement into our script or have our carnival barker announce prizes and emcee other elements of the event.